This delectable peanut confection delivers the well-loved flavor of old-fashioned peanut brittle with the ease of pop-and-chew snacking. 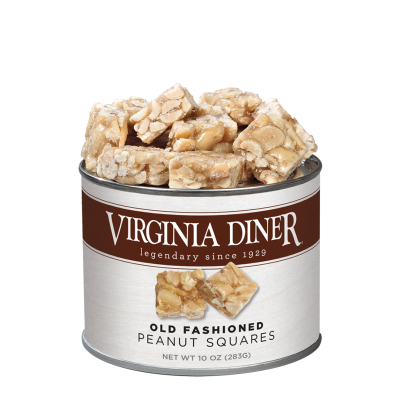 You see, our Virginia Peanut Squares are made from fresh Virginia peanuts, sugar and corn syrup...then cut into convenient bite-size portions. Which explains why it's so hard to have just one...two...three...etc. Great for family snacking or gracious gift-giving. In 10 oz. vacuum-packed tin for maximum freshness. Ordered For gifts and personal use. Tried several kinds. Enjoyed them all.